The Oculus Touch VR Controllers bring the magic of hand presence—the feeling that virtual hands are actually the user’s own hands—to life in VR. 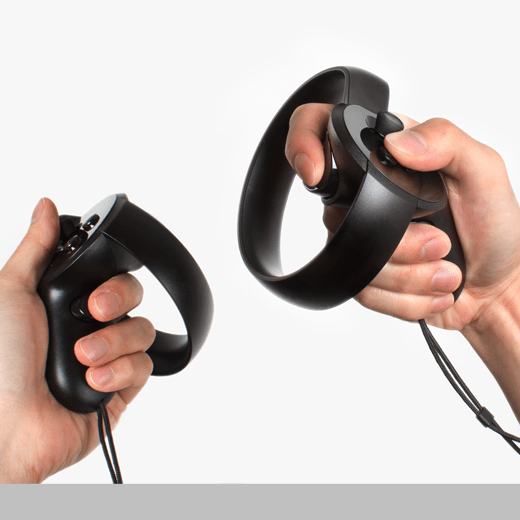 As part of the Rift product family, the Oculus Touch provides accurate real-time hand tracking; a touch-sensitive control interface to enable social interaction hand gestures like thumbs-up, "OK" and pointing; and a fully featured set of buttons and controls for intuitive and immersive gaming in VR. The Touch was designed to be an effortless extension of the hand and to be so easy and natural to use that it disappears during use.